Why a Six-Star energy rated home in Fairbanks, Alaska? Six-star energy rated homes provide long-term energy savings and assure higher re-sale value of your home. In the sub-Arctic environment energy efficiency is the most important aspect of your home because energy costs are the greatest long-term expenses in a new home. How is a Six-Star rating for a home achieved? Energy rating in Alaska is based on a 100 point system where points are awarded on merits of thermal resistance, air leakage (ACH), moisture protection (vapor barrier) and ventilation (HRV). For example, a range of 92 and 94.9 points grants homeowners a Five-Star-Plus and homes with a rating of 95 or above receive a Six-Star energy rating. 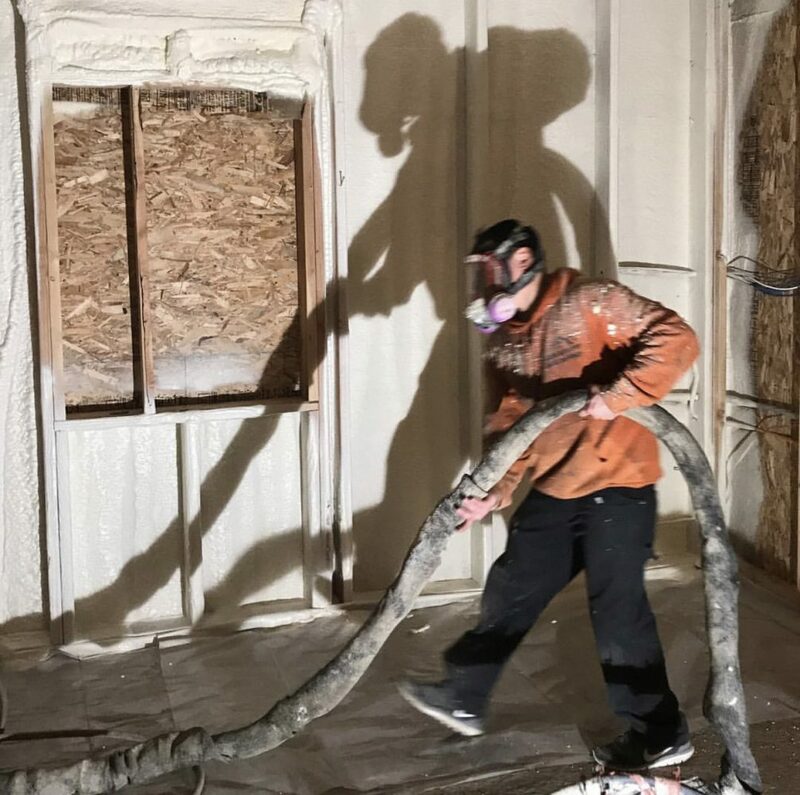 Our Six-Star homes emphasize greater insulation under and around the foundation and exterior walls, low-E windows, seamless air and vapor control, and mechanical heat recovery which also provides safe, healthy air to your family. We use a balanced approach to maximize efficiency while maintaining desired design. For example, your shared living room design has cathedral ceilings and over-sized windows. In this case, we can offset losses from the over-sized windows by adding a net gain elsewhere in the construction process. Each component of the Six-Star home is integral to the others. As a final note…the Six-Star rated home is a process that begins at the earliest stages of home construction. We take your home design and apply our proven methods to your drawing. The model is analyzed and an energy rating is produced in advance of groundbreaking. In this way you are assured your Six-Star home energy rating is achieved. Recently, the groundwork for a certification program that teaches bank appraisers how to evaluate a home that has been constructed using green building techniques and achieved five and six star energy ratings in Alaska. This is great news for folks and home builders in Fairbanks, Alaska were home heating and building costs have skyrocketed in recent years. Your energy efficient homes are now more competitive in the local housing market.